There’s a driver arms race taking place between Callaway and TaylorMade. Whether either is verifiably the longest is always debatable. Competitors like PING, Cobra, Srixon, and nearly everyone else is making good drivers right now. Nevertheless, the majority perception remains that Callaway and TaylorMade make the best drivers. You may disagree, but it’s an assertion backed up at the register, on Tour, in Internet forums, and on tee boxes around the world. TaylorMade has traditionally led the category, but last season there was a (Mongolian) reversal of sorts. Callaway gave TaylorMade an absolute spanking, overtaking it in both the driver and all-encompassing metalwoods categories. Golfers bought into Epic’s Jailbreak story, which Callaway claimed provided 2mph faster ball speeds. 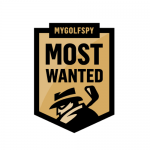 The results of our 2017 Most Wanted test suggest that number is close to reality. Not surprising given the buzz and the performance, everywhere you looked golfers were playing Epic. M sold well-enough… a solid 2nd, but when your identity is tied to being The #1 Driver in Golf, 2nd place doesn’t cut it. That was last season, but you can bet TaylorMade isn’t about to take another drubbing lying down. It’s going to hit back – and hard. The new M3 and M4 drivers are the counterpunch to Epic, and TaylorMade claims they bring a once in a decade jump in performance. I know what you’re thinking…”let me guess, 10 more yards.” Nope, zero yards – at least zero yards promised, but you might hit a lot more fairways. 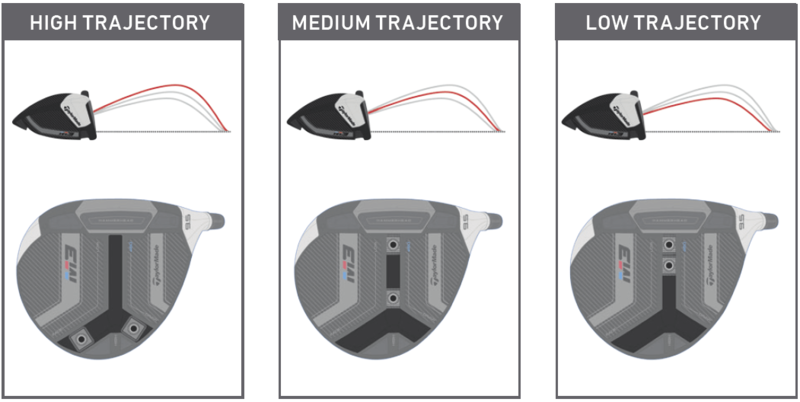 M3 and M4 offer distance, but TaylorMade wants you to know it’s Straight Distance. Twist Face. Seriously. Twist Face. In 1885 the Bulger driver set a new standard in driver face design. The Bulger introduced the golfing world to bulge and roll; face curvature engineered to mitigate the impact of the gear effect on ball flight. If the ball were struck with the toe, the curvature of the face, in theory, would start the ball farther right and draw it back towards the fairway. As you’re likely aware, every manufacturer implements a bulge and roll radius on its drivers, but according to TaylorMade, everyone has been doing it wrong this whole time. Twist Face is bulge and roll that’s been rotated, tilted, or otherwise twisted. It’s still bulge and roll, but with a literal twist that gave the oversized face inserts that TaylorMade passed around in its media presentations a shape that we’d liken to that of a Pringles potato crisp. TaylorMade’s story is that has analyzed 1000s of golfer shots and found that most miss-hits occur diagonally from low heel to high toe. This shouldn’t come as news to anyone. Basically everybody already knows this; it’s the foundation of long-existing technologies such as Cobra’s E9 Face Technology. So what about TaylorMade’s twist? When a driver gets tested on a robot, shots struck along that toe to heel diagonal plane we just mentioned almost always arc back perfectly towards the center of the fairway. Here’s where the difference between robots and humans comes into play. Humans don’t swing like robots; when you set a robot up for toe and heel contact, it still puts the same swing on the ball. With humans, heel and toe contact often results from changes in other variables (path, face angle, attack angle, etc.). It’s all about the dynamics of impact; golfers aren’t robots, robots aren’t golfers. When a real golfer hits a shot from the toe, he often has swung from the inside out, and a common outcome is a low spinning pull hook. With Twist Face, instead of being more or less straight relative to the face, the bulge and roll is twisted from high toe to low heel. Nothing looks out of the ordinary at address, however, with Twist Face, the club face is effectively more open in the high toe area and will present more loft. In theory, this means a shot will start farther to the right of the target, launch higher, and curve its way back closer to the center of the fairway. Conversely, the heel will play as effectively more closed with less loft. With Twist Face, low heel contact can be expected to produce a lower trajectory with less spin, which depending on your realities will either bring those balls to the center or mitigate the high fade/slice. Twist Face sounds positively brilliant. 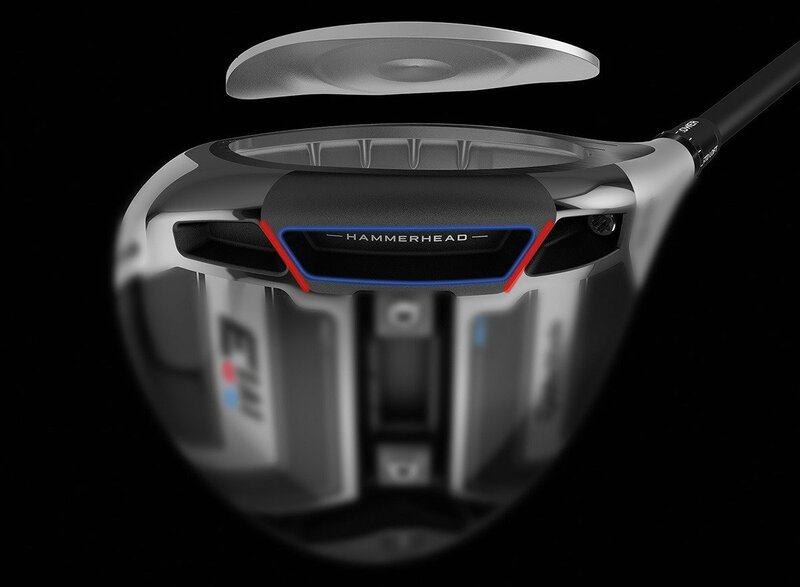 It’s the sort of innovation that might benefit golfers – certainly, it has greater potential in that regard than a couple of more yards, but let’s get real for a moment in a way that TaylorMade most likely won’t. The whole idea that TaylorMade discovered something about bulge and roll that nobody else in the golf industry had a clue about is borderline ridiculous. Just about everyone is perpetually experimenting with bulge and roll. Engineers know how this stuff works. With bulge and roll, it’s about tuning, and taking your best shot at what will work for the largest segment of the market. Granted, nobody ever talks about the various ways they tweak bulge and roll from one season to the next, and that’s precisely why TaylorMade will try to convince golfers they’ve never seen anything like it before. While TaylorMade is billing its Twist Face as its greatest innovation in the last decade or so, what the company is describing is, in principle, no different than what you’ll find in Cobra’s new F8 driver. While Cobra chose to focus on its milled face story, buried within those details is the fact that the milled face also features a rotated (you might say twisted) bulge and roll design that effectively – and tell me if this suddenly sounds familiar – increases loft and spin towards the high toe, while decreasing loft and spin on low heel strikes. Not only has Cobra already rotated the bulge and roll to match its existing E9 face technology, but the fact is also that Cobra has been twisting its driver faces dating back to its original AMP line. What we’ve been told suggests that TaylorMade’s implementation may be more aggressive (Twisted-IER), and that means its impact on ball flight will likely be greater than existing implementations, but to put all of this in perspective; in order to present Twist Face in any sort of tactile and visibly tangible way, TaylorMade is relying on an illustration that is 2X the size of the actual M3/M4 driver face with a 40% magnification of the Twist Face effect. In its actual implementation, Twist Face is imperceptible, and while that’s not to say it doesn’t matter, let’s not pretend that something like Twist Face hasn’t been done a time or two before. Every driver release needs a good story, this one happens to begins with Twist Face. Twist Face is a design consideration, and in golf that almost always means it comes with a tradeoff. Toe shots will start farther to the right and heel shots farther to the left than with conventional bulge and roll. That’s fine on the driving range, but if your fairways aren’t straight, or you’ve got trees or other trouble on the left or right, that little bit of extra push might do more harm than good. This isn’t news to TaylorMade (or its competitors), it’s part of the reason why it works, but it’s something you should be aware of. So take Twist Face for what it is – a compelling, though not exactly new, innovative, or even unique to TaylorMade technology, that may offer an accuracy benefit, but not without the potential for consequence. Finally, don’t lose track of the fact that Twist Face is all about toe and heel mishits. It won’t help you on center or near center impact where the face just happens to be pointed in an undesirable direction. In addition to Twist Face, the new M3 and M4 feature a Hammerhead slot. Slots are nothing new in TaylorMade drivers; however, M3 marks the first time the company has included one on its most adjustable model. Silly (or perhaps classically TaylorMade) name aside, the Hammerhead slot is intended to be the company’s answer to Jailbreak . Split into zones, the Speed Pocket is now longer, and more flexible in the center zone. The result is increased ball speed and lower backspin on low face strikes. The walls of the slot function as stiffening bars, which TaylorMade says allow for a thinner face and faster average ball speeds due to an enlarged sweet zone. And then there’s the crown. TaylorMade owns white, or at least it did. R11(s), R15, Aeroburner, M1, M2; all were either all white or featured plenty of it, and everyone knew they were TaylorMade drivers. For 2018, everything is silver (because SLDR S did so well?). It’s not ugly, in fact, coincidentally enough, it’s similar to the old Adams Speedline drivers. But why change a distinctive and often winning formula? Taylormade says it hasn’t. Silver still offers good contrast, while sending the message that M3 and M4 are new models. Different. The latest. Maybe a must buy. Maybe enough to convince a segment of golfers that they need a new silver fairway wood to match. And while we’re talking about design and aesthetic, let’s not ignore the elephant in the room. As near countless readers have pointed out, the new M3 and M4 logos are painfully derivative of the BMW M logos with its flashes of blue and red. Perhaps TaylorMade is subtly suggesting that it has created the ultimate driving machines (for golf, of course). It’s lazy, hackneyed branding, but if it works well for the company, none of that will matter. While TaylorMade only mentions it in passing, the slightly raised crown design of the new Ms represents the TaylorMade answer to Turbulators and Speed Steps. The company claims that raising the crown keeps the air flow tight to the head throughout the swing, resulting in less drag and greater clubhead speed. The design changes are more or less hidden in the carbon fiber. The company says that’s significant for two reasons. Firstly, because the carbon material is so light, it doesn’t raise the CG as the carbon crown is so light. Secondly, moving the aerodynamic features away from the front of the crown prevents the driver from looking a bit more upright than most Tour players prefer. Now that we’ve discussed what M3 and M4 have in common, let’s discuss how they differ. With M3, the signature T-Track design of the M1 has been replaced with a new Y-Track. What does this really do? It raises the MOI (forgiveness) of the draw and fade settings, and with that comes higher spin, which TaylorMade says will encourage more shot shaping. We’d wager that the new settings offer less left/right CG movement, which suggests you’ll lose a bit of draw/fade bias, but frankly, we think the higher MOI option makes more sense. With both tracks connected the 22 grams of total weight (two 11-gram weights) can be moved over a greater spread. TaylorMade says there are over 1000 possible CG configurations; more than double that of the M1. We’d like to encourage you to try each and every one of them and report back to us in detail. M3 packs a massive amount of adjustability, but is it necessary? Other brands (even PXG) have simplified their approach to adjustability and the M2 has been the more popular TaylorMade driver both on Tour and in stores. 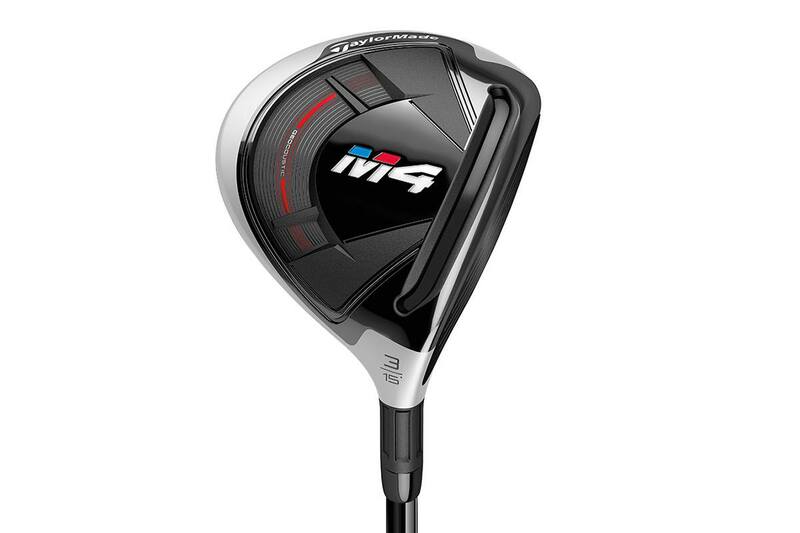 That said, TaylorMade has long staked a claim to offering the most adjustable driver on the market, and with M3, they have every legitimate reason to do just that. TaylorMade will continue to offer 440cc to complement the standard 460 cc model. Like previous sub-460 models, the 440 offers a deeper face and will produce lower launch and spin, albeit at the expense of forgiveness. Stock shafts for the M3 come from Mitsubishi’s Tensei series. Non ‘Pro’ versions of the Tensei Red, Blue and White are all options. Over two dozen additional no upcharge shaft options are also available. The stock grip is a Lamkin UTX. The 460 is available in an 8.5°, 9.5°, 10.5° and 12° options. The 440 is available in 9° and 10° degrees. Both M3 models feature a 4-degree ultra-lightweight aluminum loft sleeve that’s backward compatible with previous drivers. Retail Price for the M3 and the M3 440 is $499. The M4 is the bludgeon to the M3’s surgical blade. It’s not for golfers looking to fine-tune their drives. It’s a no-nonsense hammer for the guy who just wants to smack it. Designed to sound better and be more forgiving than competitors drivers, the Geocoustic sole design lowers the center of gravity while presenting a larger profile at address. The curved sole gives off a higher frequency at impact for what TaylorMade describes as a more powerful sound and better feel. Along with the Geocoustic sole and the weight saved from the hammerhead slot design, the M4 has a 41g weight pad anchored at the back of the head. As it always does, the rear-placed weight raises the MOI to a point where TaylorMade says M4 offers “unparalleled forgiveness.” The company has played fast and loose with its MOI stories in the past, and while anything is possible, based on the last few years of drivers, it’s fair to suggest the company has a long way to go to catch up to PING, Cobra, and PXG in the truly high MOI driver category. Given the carbon crown and emphasis on back-weighting, it’s certainly possible. We’ll have actual MOI measurements for you as soon as we possibly can. The stock shaft for the M4 is the non-Tour Spec version of Fujikura’s ATMOS Red. The M4 will be available in 8.5° for the first time, as well as 9.5°, 10.5°, and 12° degrees. The 8.5° option suggests that some stronger players like TaylorMade’s second driver every bit as much as its flagships, and its availability could boost sales of that model a bit. A draw favoring D-Type M4 is also available. It’s slightly offset and heel weighted for golfers who struggle to get the clubface square at impact. Changes to the paint line on the crown make the D-Type appear square behind the ball, which should appeal to golfers who need the help, but don’t always like the way help looks. The stock shaft is a Matrix Platinum White Tie. The D-type will be available in 9.5°, 10.5°, and 12° degrees. Retail Price for the M4 and M4 D-Type is $429. While there’s a case to be made that M3 and M4 drivers bring some new – or at least new to TaylorMade – technology to the party, it’s hard to make the same argument for the corresponding fairways and hybrids. Don’t get us wrong, the fairways, in particular, look great, but if you’re looking for another breakthrough technology story, I’m afraid we don’t have anything for you. The M3 fairway features a 5- layer carbon crown, a thin Ni-Co C300 face, and a longer speed pocket. The only notable addition is a carbon sole plate. Weight tracks have been moved forward to improve turf interaction, and you get an additional 4-grams worth of movable weight. These are certainly improvements, but the impact is likely subtle and unlikely to entice many to replace a fairway wood for reasons other than necessity or the desire for a silver crown. 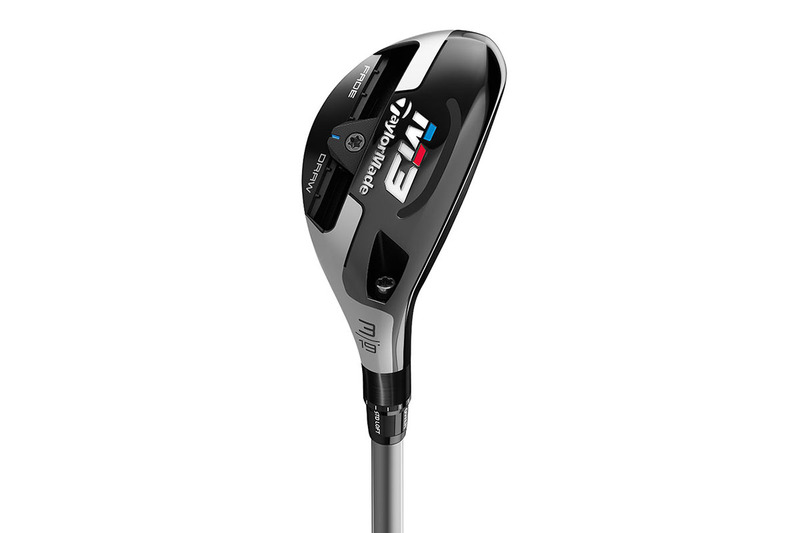 The M3 fairway will be available in 15°, 17°, and 18° degrees, and will come stock with a Mitsubishi Tensei Blue Shaft. Billed as TaylorMade’s ultimate distance fairway, the M4 fairway story follows that of the driver. It has a slightly larger address profile, a larger Hammerhead slot, and a Geocoustic sole. 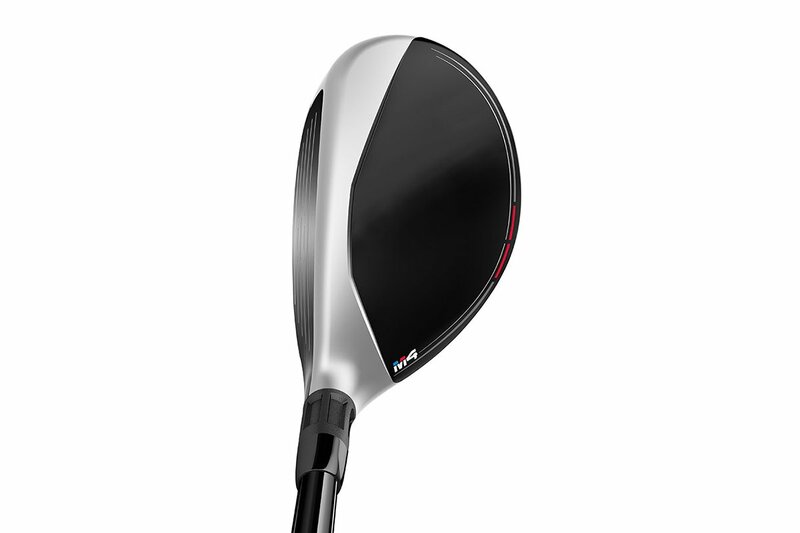 Like the M3, it leverages a Ni-Co C300 face with TaylorMade’s Inverted Cone Technology to help maintain ball speed. A new split-weight mass pad pushes weight to the perimeter to increase forgiveness. Complementing the standard M4 fairway is a Tour model. It’s smaller (156cc vs. 175cc), has a deeper face, and as you would expect, offers lower launch and more workability (i.e., it’s less forgiving). The M4 is offered in 15°, 16.5°, 18°, 21° and 24°. The stock shaft is the Fujikura ATMOS Red 75 (non-Tour Spec). The Tour Model is available in 15° and 18°. The stock shaft is the Mitsubishi Tensei Blue. History tells us TaylorMade makes good fairway woods, and we expect that will again prove the case, but we’re not seeing anything to suggest there’s a market-buster in this crowd. Because there has to be something new in every category; rounding out the new lineup are a pair of rescues (hybrids) designed to match the Driver and Fairways. As with the fairways, the tech story is what you’d expect. The M3 rescue offers a moderate profile, a Tour-proven and preferred shape, and a whopping 3-grams of additional adjustable weight compared to last season’s M1. TaylorMade’s normally verbose press material on the subject is limited to a single paragraph, so two-tone crown and all, you can reasonably assume that what you see is what you get. The M3 Rescue is offered in 17°, 19°, 21°, and 24°. The stock shaft is again the Mitsubishi Tensei Blue. Rounding out the lineup is the M4 Rescue. Compared to the M3, the M4 Rescue has a lower profile and is bigger front to back. It offers a Geocoustic sole and a cut-through Speed Pocket for higher launch. Like the M4 Fairway, it offers a split-mass pad for increased forgiveness. Finally, it offers a bit of draw bias, which may not be desirable for everyone. The M4 Rescue will be offered in 19°, 22°, 25°, and 28° degrees. Stock Shaft is the Fujikura ATMOS Red (non-Tour Spec). 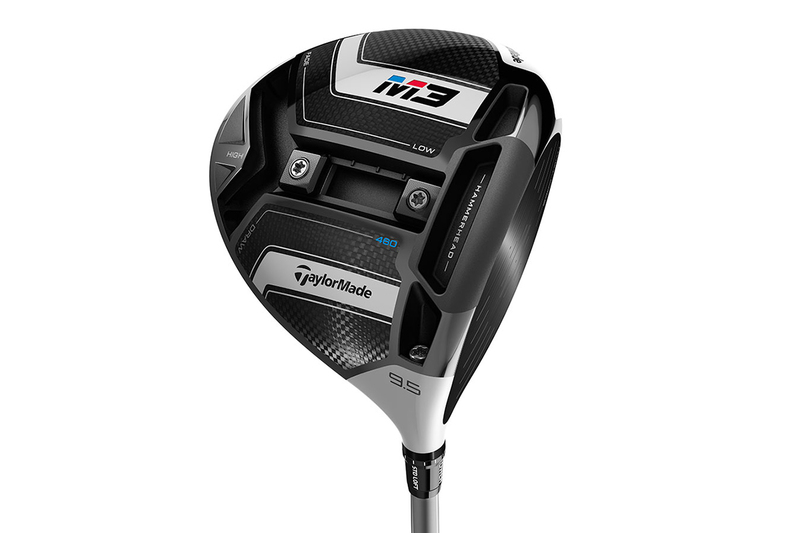 TaylorMade believes it has a pair of game-changers with the M3 and M4 drivers. Submitted as proof are the genuine Tour pro reaction videos the company has been distributing on Social Media over the last week. Members of TaylorMade’s Tour Staff have never seen anything like it. As with every driver in recent memory, to a man, they can’t wait to put in their bags. It’s a cute story, even if we’ve heard it a time or two before. Once everyone stops being amazed, TaylorMade must acknowledge the reality that, after losing its grip on the #1 Driver and #1 Metalwood positions last season, it needs to bounce back bigly in the driver category. With a fresh round of Callaway drivers, along with some compelling stuff from its other competitors on the way, success is anything but a given. Overlooking for a moment the fact that technology not unlike its breakthrough Twist Face has existed in a competitors’ lineup for the better part of a decade, in tying its success in the market to an accuracy story, TaylorMade is making a bold play. It’s the kind of gambit that the company made back in the days when R dominated the category. It’s a risky move and we’ll be watching from the edges of our seats. To my recollection, nobody has ever succeeded selling a driver with an accuracy story. If it works, TaylorMade will have flipped the sales script, shifted the proverbial paradigm, and likely reestablished itself as the category leader and an innovative force. If it doesn’t work… let’s not go there just yet. Have any of you tried the cobra Long Tom. We have 3 guys in our group that picked up significant yardage. It has long shaft. I can’t hit it. Don’t know how they do. They are prone to mis hit it but hit very long when they are on. I need more drivers like I need a hole in my head. With that said, as a Machinist, my quest is to own the Fancy Milled Face F8 Driver set to 12* with a decent shaft & Golf Pride MC +4 grip. As for TM, since we now know that they & Calliway don’t want to participate in ’18 Most Wanted Golf Club testing comparison , both of them can go Pee up a Rope AFAIC. This coming from a Senior who has a bunch of their clubs in the garage!! Anyone still remember the Wilson irons gear effect . Seems they they way of the dodo bird after a bit . Good article and yes there will be new ones next year or in six months . No one is forcing any person to buy one of these new clubs. For the average joe $600.00for a new driver is not going to improve his game or score. For the pro probably a little mabey .5 strokes a round that’s if they can hit the fairway. Rember Phil & Tiger they could putt and chip fairways not so much. Watered down shafts eww. At least Mizuno has legit stock shafts in their ST180. Seen DJ missing some fairways today at Sentry. I guess the Twist face can’t even help the best golfer in the world. Taylormade is offering upgraded shafts on their driver. I’m not sure why they aren’t advertising it more but I pre-ordered mine from Taylormade equipped with the Aldila NV 2KXV Green 65S. No Upcharge!!!! That was what I tested best with on a launch monitor. With the correct shaft, this club can be a beast (true with most clubs). It would seem that the 440 would offer the potential for greater swing speed due to Iower air drag. And, of course, it gives up some forgiveness so it is for “better players. And as so many consider themselves to be better players, I can see the next innovation to be a smaller headed driver with (claimed) higher swing speed and corresponding distance. Openly marketed to “better” players and since so many consider themselves to be better than average players, it would be greaf seller. This sounds extremely interesting. 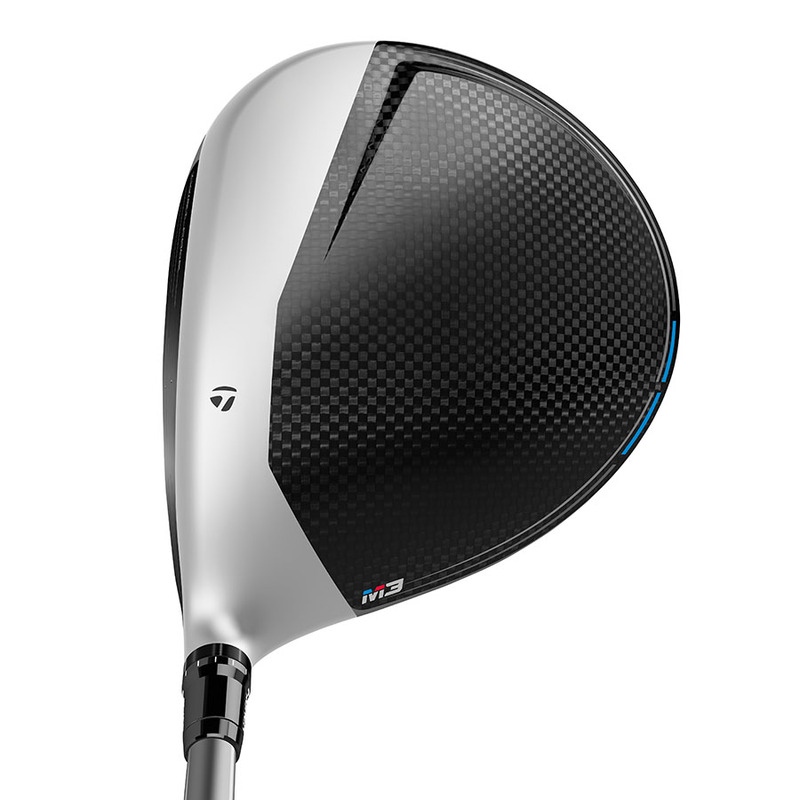 I would put it right up there with the new Ping 400 and Cobra F8 as drivers I would like to test out myself. I currently game a fitted Cobra King, and the trajectory of the toe and heel strikes in the “traditional face vs Twist Face” illustration above, is basically what I have experienced with the King over the last two seasons. If it is a similar design to the King’s face, it will help golfers for sure. Interesting concept, and worth a look. It may not be any better than what I currently play, but trying it out is the fun part! Agree, I like hitting different clubs just for the heck of it. But $500 buys a lot of lessons at my course. Want to shoot lower scores? Find a club you can hit off the tee that’s gives you decent length AND stays IN THE FIIRWAY. Then work the hell out of your short game. You’ll be AMAZED at how much your scores will improve. But that means more practice time (boring for some) & slightly less yards off the tee (hard on egos). Great article TM needs to do something they were slaughtered by Callaway, Epic is a fantastic driver after reading the MGS review, and hitting one at a demo day I bought one and have never looked back. Innovation is the key to at least consistent results, when you you don’t play often, and lessons are great if you can back them up with playing, but unfortunately when you cannot play often they are useless. Find the driver and shaft combination that’s great for you, and irrespective of price and brand buy it, while short game is the key to lowering handicaps, hitting a nice long forgiving drive, and staying on the short stuff is half the battle. That’s why I will try the new TM, then the Callaway Rogue, and if either are slightly better than the Epic, it gets sold I, don’t get too attached to drivers. Nice post. Driver has been the club I’ve struggled to get max performance out of. I’ll keep one as long as it “works”, but once it doesn’t anymore, it’s on ebay the next day. Unlike a set of irons, it’s just “1” club to fit & replace. And since something new is always coming out, you’re never at a loss for new options. So not a cupface driver? Add 17+ yards; Straighter & longer. Oh wait, that would kill the “need” for upgrading to their newest driver tech! You are sooo right on! Too much hype of the arrows and nothing about the indian. Interesting move ROB I hadn’t heard that, I wonder if that means that TM will be conflicted by potentially competing for lessons with stockists/retailers of their clubs who up until now are the lesson providers! GDOP, I 100% agree, time for a technology that allows the archer to use his bow & arrow more effectively. well Frank, with a “governor” on the carburetor of innovation ( USGA and R&A) for most manufacturers those are the only words and catch phrases. Last year it was jail break, what they fail to tell you last year it was out of necessity to hold the club together, not for increased ball speed or distances- only fools believe that. 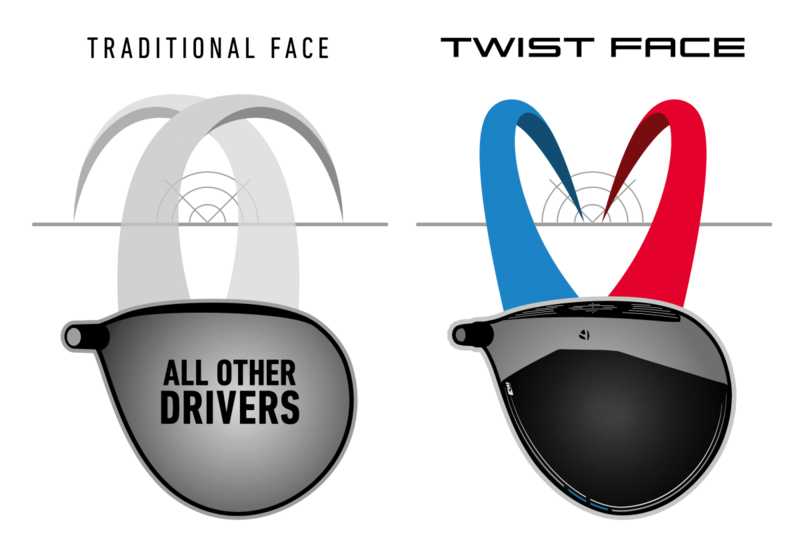 As others have pointed out for most golfers 99.9% of us, all drivers will be close to each other. However the intangibles such as looks, sound and feel can be the difference in why one person may choose one over the other. I too worked for Cleveland…I’m assuming you noticed the relaunching ( no pun intended) of the “launcher”driver for this year in 2018, 2010 and 1996. So no one is immune. AWD + Adjustable Widget Dynamics? But we need slowdown golfballs, why not these new drivers or other clubs which are designed only to hit longer and straighter? Yes, a new driver could beat everyone to the punch: We give you 30 yards less so you can continue to use your old balls and the USGA won’t know the difference. Took my GBB driver with Paderson shaft back to Club Champion to test it against the Ping G400 with Paderson shaft. ( I think I remember Tony likes the Ping… the reason I tried it). My guy, Eric at Club Champion warned me I would not like the results. He was right. The Callaway killed it. Only club to even come close was the M2. So I might consider the M4. Silver looks good to me. Golfers are all different. I have an epic and got to test a ping 400 lst. The ping was longer and much more forgiving for me. I even used identical shafts to see if it was the shaft. Also LST is better than regular 400. I only wish it had been six months since I last heard this totally overplayed and misinformed joke. What a total shock – TMAG rips off another technology. Not only did Cobra experiment with face shaping to take advantage of the predominantly high toe/low heel, elliptical wear pattern, but Adams Golf did it too! In 2012. 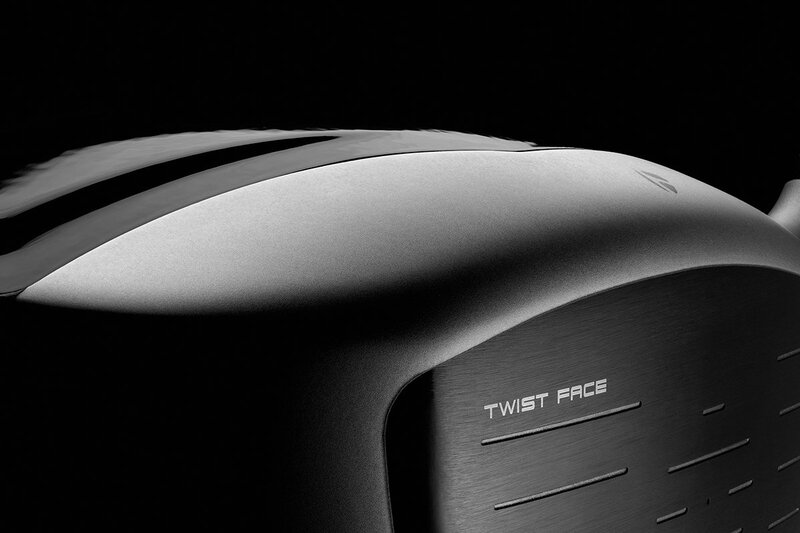 The Speedline Tech DR had the exact same “twisted face story” – it was called 3DS Face Shaping. If TMAG thought this tech was so good, they would’ve been using it for a while. Heck, they bought Adams in 2012, so they certainly were familiar about the technology 6 years ago. The move to integrate it now is because they need something to talk about besides the usual BS. The tech is typical. Kind of works on a robot; maybe works for a PGA Tour player; no discernable benefit for the amateur. Good luck to anyone who buys into this. I’m defending facts here and not Taylormade but, you don’t have to be the first to do it best. Very True XjohnX, you are right. A simple question why does cobra NOT have the technology in today’s driver? I noticed the cobra looks remarkable similar to others on the market include taylormade, I don’t hear anyone saying the stole that look from others? Perhaps a better question is why doesn’t cobra sell, come June there will racks of Cobras at 249-299 making room for the F9x or F10 no doubt with the “new” seesaw face LOL. Years ago I wrote a patent for Adams Golf relating to a face technology that corrected miss hits. It didn’t sell very well……. Suggest looking up graduated roll technology to understand Twist Face. Tom Wishon drivers are the most accurate drivers ever made. Interesting, have a marketing focus on accuracy with a driver that is nearly 46 inches long. Yes, and generally none of those 95% are marketed as more accurate. Forgiving maybe, long for sure, but not often accurate. Where is it now? and did they just warp the face or did they do so AND change the lofts at the toe and heel? Would never buy the hype or the driver. TM and other manufacturers think that golfers are idiots. Hmmm, coincidence that Tiger (and Jason Day) plays the tensei white and they are using a watered down version as the stock shaft? If they could just get Rory to paint his Kuro Kage to look like the tensei, they would be set. Other than that, I like these new iterations and will probably give them a look. Ho Hum….more BS from Taylormade. I’m glad to see even more TaylorMade drivers on the market at the same time to confuse consumers. This was a very good “review” of what I consider a “new gimick”, in that it borrows something from everyone; PING, Cobra, Calloway, etc. and packages it as “new technology”. I’ll keep my $500, my PING G400 driver and spend the money on professional instruction instead. How come you didn’t spend the $500 on “professional instruction” before you dropped the $400 on the Ping G400 what… 6 months ago? Their tour pro reaction videos are so cringey they feel like a parody. Such a huge waste of money. That wasn’t my point. Probably should have said a huge waste of the money they spend to have those guys on staff. Those videos are so boring and a huge waste of the big names they have on staff. As always MGS cuts thru the BS. I’m looking forward to the most wanted driver test. I’m now intrigued by the Cobra products and will be interested to see the results of the F8 and Fmax tests…. Question to MGS – does Cobra count as a “Big OEM”? Seems obvious that you’re taking $ from them…. Yes – Cobra counts as a big OEM, and no we’re not taking money from them, nor have we ever. It’s both sad and amazing that pointing out that bits of the TaylorMade story don’t add up (based on the fact other companies have done similar before) would lead anyone to jump to the conclusion that we must be getting paid to point out what anybody with access to google could have discovered on their own. I was in a room with several other media guys and Cobra’s R&D team when they described their approach to what TM calls Twist Face. That was 2 months ago – still fresh in my mind. For Cobra it was a footnote in their milled face story (probably because they’ve been doing it since AMP), for TM it is the story. If nothing else, that illustrates that in a mostly commoditized market, the story is everything. As another reader pointed out, Adams also offered similar technology in 2012. While it’s true that TM now owns that IP, its documented existence also flies in the face of the “after observing thousands of shots, we discovered something nobody else knew about…” story. Again, TM’s unprecedented innovation story is demonstrably false, and the ironically enough, the reason why you aren’t hearing more about it (though it is mentioned in the story on ScoreGolf), is because advertising arrangements more or less dictate you repeat the story as provided. Don’t question it, just repeat it. Let’s look at this another way. TM has a new aerodynamics story with M3/M4. It’s basically a footnote, but they’ve said they’ve added aerodynamic crown features to do what PING and Callaway are already doing. The technical approach is different, but the intent (reduce drag) is the same. If, however, TaylorMade had come out with a story that began with “after studying thousands of golf shots our engineers discovered that a conventional driver has poor aerodynamic properties that create a significant amount of drag, so we’ve invented revolutionary crown features that help reduce drag…” all of you would be pointing out how absurd it is for TaylorMade to suggest it’s doing something that’s never been done before. We can point to Turbulators and we can point to SpeedStep, and we can say that while it’s possible that your design works better, in function and purpose, there’s nothing particularly innovative here. As we like to say, it’s evolutionary, not revolutionary. That’s essentially exactly what it’s doing with twist face. It’s a fresh ‘twist’ on existing technology, not anything close to the reinvention of the wheel story it’s spinning. All of that said, as I’ve said before, I expect TM’s approach will prove to more aggressive and more pronounced. The rule of thumb for a feature like this is both time-tested and simple. It’s going to work really well for some golfers, it’s going to be bad for some golfers, and for others it won’t make any difference at all. That’s reality – everything else is just a story. What seems obvious is that you’re upset that you spend $500 for a TM driver when you could have spent half as much for something just as good. Lets see… Cobra has this face thing…let’s do that but we’ll call it ours and say it’s “new”. Ping has these turbulator things…let’s do that too…cause BMW M3 cars go fast. Callaway… ugh… those bastards… AH!, got it… let’s take those stupid Jailbreak bars, turn them on their side and call them HAMMERHEAD!…. everyone loves sharks and they’re really powerful. Brilliant…what will they think of next. BTW – do they really think that pricing it at 499 instead of 500 will work? …. 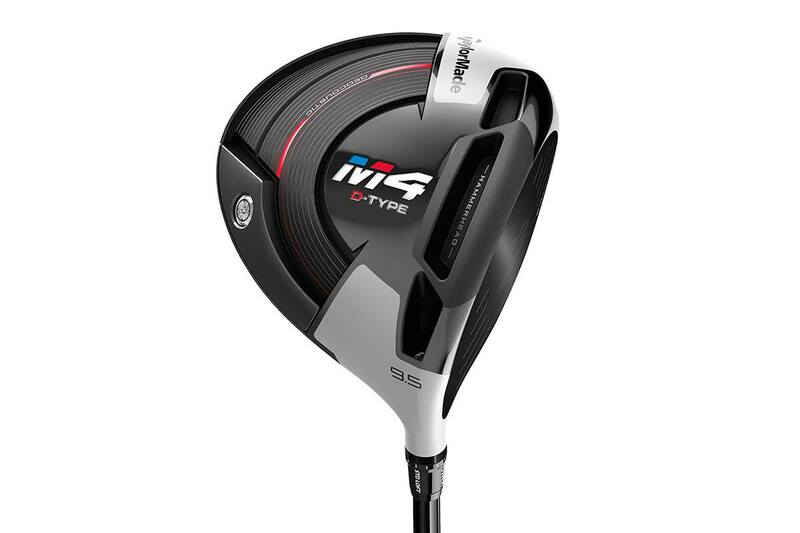 seriously… 500 dollars for a driver? Depends on the shaft… l have a 7 Dreamers shaft in my driver and its $1400 for the shaft alone! Preach it ! It’s time to go to unlimited restrictions. Loosen the Harness and let it RIP..
Hit it straighter with consequences huh? Hmmmm this will be an interesting year to say the least and I’m looking forward to watching this story develop. Awesome report MGS! Drive a BMW 4 Series and a Ping driver. See no reason to change either one. I like to build and tune my cars and clubs . 6 months after this comes out there will be a m5. Ppl need to understand the swing and how it works instead of buying a 500$ drive that only gives them 10-15 yards more left to right. The 2016 M1 came out in Oct 2015. The 2017 M1 came out in Jan 2017. So based on this, no, there won’t be another club released in 6 months. It will be at earliest this fall, or another 12 months from now. People need to calm down about new clubs being released. Most weekend warriors have terrible swings and would benefit more from lessons – no debate there. However, there are still people playing drivers that are 5+ years old and in most cases, these new clubs will be upgrades, if not significant upgrades, in terms of performance. The release dates and how often they are is irrelevant. What is relevant is that TM with its drivers and woods and Titleist with the ProV1 are good at marketing but the product they sell is no better than the competition, only more expensive. Marketing at its finest. Why spend money on marketing. You have to hand it to TM, i am not a fan but they do come up with a lot of different ways to sell the same basic golf club *45 inch with 460cc head. I predict in 2018 and moving forward that driver names will have to get more and more ridiciulous, i mean we have already got JAILBREAK technology, EPIC, TWISTFACE whats next? SMASHTASTIC TECH. TM is a great Marketing company, they could literally sell anything wonder why they stick to golf! Good look at the driver. Finally some more details on it after all the information “leaking” out over the last month. It definitely deserves a look and I will be doing just that at the PGA Show, but also very intrigued by the G400 and F8 offerings. And of course the Rogue release will be coming soon as well. Look great, much better than the white. The face thingy sounds interesting too. Good article. Bottom line is every year companies need to sell product. Once tm new clubs are released along w everyone else’s the numbers don’t lie. Have to tee me up and let trackman lay them all out. Pat Simmons might have a problem with them using the name “Hammerhead” ! His Great White hammerhead drivers were Staples for years ! His innovations were ahead of their time !! This is interesting not sure if this is just a bunch of hooey are the Real McCoy.. I guess it gets to where all drivers begin to look alike and similar in design so time will tell .For me Golf is getting too costly ..But as our president says it should be for elitist (Wealthy) people and it’s getting there quickly. It has become too expensive for me just about 4 times last year, so I’m done buying any equipment .. But it doesn’t hurt to window shop and Dream..
Great article! It seems there might be another wrench in my plans. The Silver and Black looks nice together. After the article basically says you can get as good a driver for half the money you would still be willing to buy it? You must be into the status of Taylor Made. Ouch. M4 is a Cobra without the funky face. And Hammerhead was on the XTD? 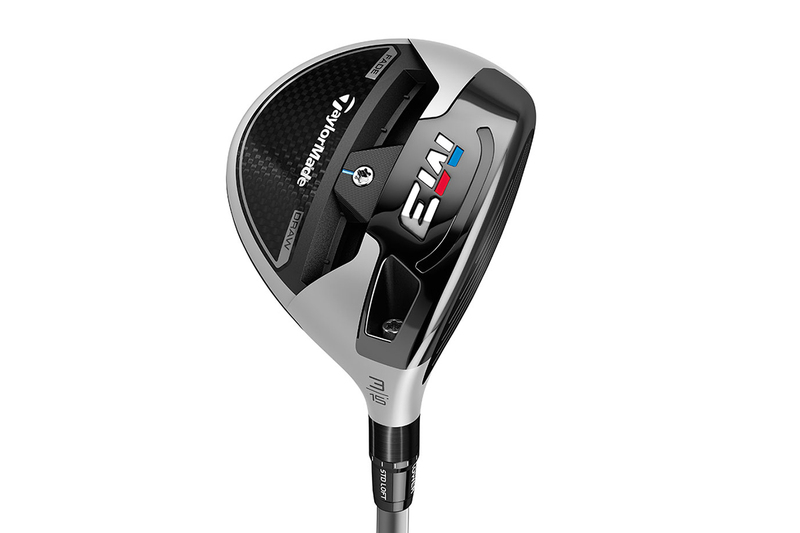 Good read, but I’m going to hold out for next year’s Taylormade AMG E class of woods. Will that AMG come with AWD?